Mr. Marra is a shareholder at Davis Grimm Payne & Marra where he represents clients in all types of employment litigation and provides advice on a wide variety of employment matters. 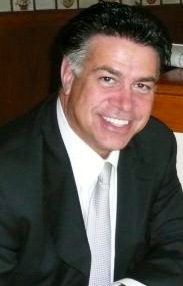 His practice focuses on advocacy in private and public sector labor and employment law, including negotiating collective bargaining agreements, representing clients in all areas related to union relationships, claims of wrongful discharge, discrimination and sexual harassment, and wage/hour litigation in state and federal courts and administrative agencies. A significant part of his practice is devoted to serving as a mediator in employment cases. Prior to entering private practice, Mr. Marra clerked at the Montana Supreme Court and served as an attorney at the National Labor Relations Board (NLRB). He received his J.D. from Gonzaga School of Law. Mr. Marra is a member of the American Bar Association (ABA). He is a frequent and popular speaker and trainer for business associations, private companies and governmental organizations. Mr. Marra helps clients implement and maintain proactive and preventative employment practices, and he spends considerable time training managers in avoiding legal risks in the workplace using effective personnel practices. Mr. Marra is admitted to practice before all state and federal courts in Washington and Montana. He has received the Distinguished Citizen Award from the Washington Independent Business Association for his support of business owners and has been repeatedly recognized by the Washington State Bar Association for his pro bono work. He has served on the Pacific Coast Labor Law Conference Planning Committee and provided expert analysis and commentary to various media outlets, including KIRO News, Seattle Times, and Tacoma News Tribune.